Who’s coming with me?! | Experimental Designs Consulting, Inc. 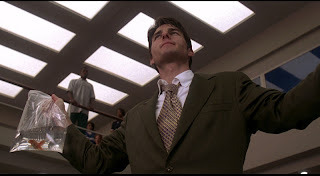 When I watched this movie years ago, I thought that Tom Cruise’s character, Jerry McGuire, was a brave agent that tried to re-center his position within his field against the popular flow of his current establishment. I think the first way to avoid this scenario is to establish your mission statement first and consistently reiterate it to the lab and to yourself. “What’s are mission, team?! ‘We love making novel scientific break throughs!’ ” …Or something like that. Your lab’s mission statement and your specif aims will be the guides to help establish your management structure. I know, I know… management is boring. But let’s be real. It doesn’t have to be if you’re always focused on your core goals, missions and efforts. The management part is just a series of check lists that keep you on the right path. Its a map! And are you ready for that journey?! Who’s coming with me?! When establishing a lab’s mission statement, as the PI, your specific aims (the whole point why the institute is giving you a whole bunch of money) will be the seed that will help you to establish your research mission and vision. To do this, write a statement that speaks to the emotional side of person. This usually is a core belief that motivates people to take action. Where your specific aims are theoretical and scientifically written, your mission should take a humanitarian tone. Although, the scientific talent and creativity of the investigator is one of the key deciding factors in awarding the appointment. This is not necessarily the deciding factor for motivating lab members. The mission statement needs to insight the passion of the science. So therefore, normal scientific language should not be used. More lay terms and philosophical language tend to drive more passion. This will be the language that will lead the lab group and guide key experimental decisions. When formulating the mission statement, write a clear statement of what is studied and how it impacts the overall scientific community; science and its humanitarian purpose. To manage science, write a statement that incites the emotional passion of people. Science is pretty darn hard already. Its a very emotional field that is riddled with disparaging data and is only sprinkled with its addictive discoveries. I like to equate scientists to artists. Therefore the motivation of the research mainly comes from a personal satisfaction, not from the monetary rewards. This becomes the core belief. Therefore, find people that resonate with your beliefs. You’re the lead scientist and its your duty to be the leader and motivator of the lab and its talents. When developing your mission, speak to a broad scientific community. The scientific community is your peer reviewers. They will be the ones to determine your success. Keeping this in mind will enable cross-scientific collaborations with other talented scientist. The network will draw other talents and will be a great resource. Mission statements will not only define research direction but also the tools that your research will be based on; the lab, equipments, benches, reagents, grants, techs, students, lessons, etc. This will enable you and your people to be assured that the decisions being made are aligning with your goals. So, write it out! A great book that you can reference is by the inspirational speaker and marketing expert, Simon Sinek, “Start With Why?” In this book he approaches a direction in being able to motivate individuals to your cause and to enable them to commit to it. It offers great strategies with his “Golden Circle” approach.